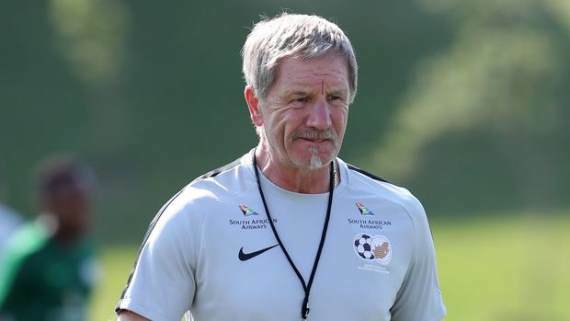 Bafana Bafana coach Stuart Baxter says he will try manage the workload of some players in his squad to ensure they remain fit for their respective clubs. Bafana are set to face Nigeria on Saturday (15:00) in a crucial Africa Cup of Nations Group E qualifier at the FNB Stadium with a place in the tournament at stake. A victory for Bafana will see them qualify for the competition whereas the Super Eagles need just a draw. On the following Tuesday (19:00) they then meet Paraguay in the Nelson Mandela Challenge at the Moses Mabhida Stadium in Durban. Speaking to reporters, Baxter said: "I think it's important that we've spoken about having a positive relationship with the clubs. I've travelled around, even visiting clubs in the lower division. "It's really important that we have an understanding whereby they will help us if they can, and we will help them if we can. "I think that balance, without being detrimental to the success of national team, [is important]. We have to have that little bit of feeling that if I was a coach at one of the clubs, I wouldn't want my players to play consecutive 90 minutes. "I would expect the [national team] coach to have a little bit of feeling for South African football in general and say, maybe these couple can play a half in one and a half in the other, for example. "So, we'll approach it with that in mind, and it's not a point that's lost on anybody - it's something we will think about."